At our headquarters building in Richmond, one of the first LEED Platinum certified historic renovations in the country, we diligently track the building’s energy and water use in the quest for continual improvement. 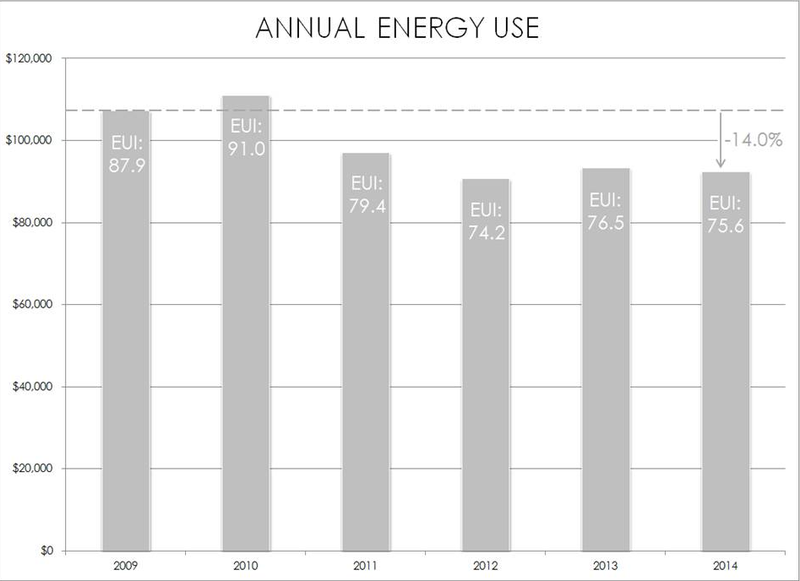 We’re happy to report that 2014 continues the trend of energy use reduction since we moved in six years ago. The bulk of our energy use continues to go toward heating, cooling, and ventilation. This is to be expected, particularly due to the challenges of our historic wall and window construction. However we all continue to look for ways to adjust our operations to drive energy use down, especially our Facilities Manager, who relentlessly seeks the fine line between energy use and occupant comfort (thank you, Dusty! ).